To date the considerable computation and storage power of clouds that have attracted great attention from mobile users and mobile service providers over the past few years. The convergence of mobile devices and clouds that leads to a brand new era of could-based mobile applications. It brings long-listed advantages for mobile users to get rid of the constraints of mobile devices (including limited mobile memory, data processing ability and battery). However, mobile clouds yield new security and privacy risks in open network setting. 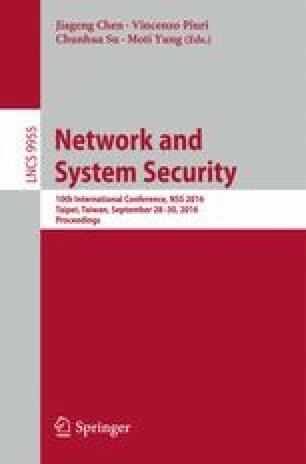 This survey paper attempts to introduce security risks on mobile clouds in the view point of applied cryptography. K. Liang is supported by privacy-aware retrieval and modelling of genomic data (No. 13283250), the Academy of Finland.